High Island, Texas is the Fenway Park or Wrigley Field of Birding . 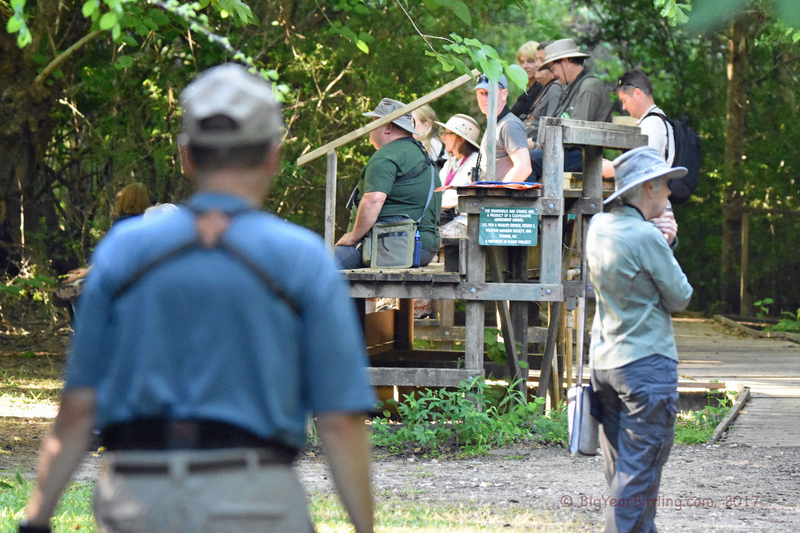 . . a place of tremendous bird diversity, but also a place where the community openly embraces the hordes of birders that descend on the small town each spring. Warblers continue to be slow in arriving this year, or perhaps the weather has been so good the wee-birds have continued to fly inland after crossing the gulf. So we didn’t see too much in the way of warblers today (we did get a handful), but the rookery (Neotropic Cormorants, Roseate Spoonbills, Snow and Great Egret nests) is beyond words. It is a quarter mile in length and up to 100 yards wide . . . deafening chatter, other bird life (Pied-Billed Grebes and American Coots), and Alligators prowling the perimeter it was a remarkable experience. Tomorrow . . . Anahuac National Wildlife Refuge.